Summary: For World Stroke Day, the Sign Against Stroke in Atrial Fibrillation campaign is urging action to avoid preventable afib-related strokes. In celebration of World Stroke Awareness Day on October 29, 2013, the Sign Against Stroke in Atrial Fibrillation campaign calls for urgent action to avoid the thousands of preventable strokes that leave many atrial fibrillation (AF) patients disabled or dead every year. See the press release below for more details. Please add you voice to this call to action by signing in support of the Global AF Patient Charter on the lower right side of this page where it says Sign Against Stroke in Atrial Fibrillation. By World Stroke Day 2013 (October 29) more than 500,000 people have shown their support for the Sign Against Stroke in Atrial Fibrillation campaign, calling for urgent coordinated action to avoid the thousands of preventable strokes that leave many atrial fibrillation (AF) patients disabled or dead every year. Despite widespread fear of stroke and its devastating consequences, many people are unaware of AF and its link to stroke, highlighting a critical educational and medical challenge for policy makers and healthcare providers. Every year, 15 million people worldwide experience a stroke. Approximately five million of these suffer permanent disabilities and over five million more die, accounting for 10% of all deaths worldwide1 Sign Against Stroke in Atrial Fibrillation supports the world’s only Global AF Patient Charter that calls for more education to raise awareness of the signs of AF, driving earlier diagnosis, and ensuring patients receive the appropriate care, so fewer families suffer the devastation caused by an AF-related stroke. Alarmingly, the first time many people will find out they have AF is when they have a stroke, with these strokes being more severe, causing greater disability and having a worse outcome than strokes in people without AF2. People who have a stroke caused by AF are more likely to remain in hospital for longer, are less likely to be discharged to their home and are 50% more likely to remain disabled, relying on long-term care from their families or nursing homes2. Healthcare costs associated with stroke are higher for patients with AF than for patients without AF, leading to a significant clinical and economic burden on individuals and society, especially in an ever ageing population3. Preventing AF in patients at risk, diagnosing AF before the first stroke occurs and following recommendations regarding the use of anticoagulation, including consideration of new treatment options4,5, are critical for effective prevention of up to 70%6,7,8 of AF-related strokes. 70 million people worldwide are affected by AF4,9. 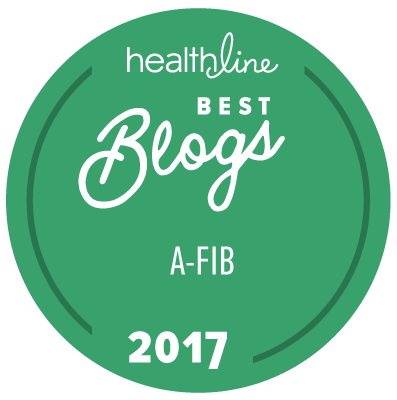 The irregular heartbeat of AF causes blood to pool and can result in the development of blood clots, which may travel to the brain, triggering a major and often fatal stroke. AF is age related, with those over 40 having a one in four chance of developing it10. AF has no geographic, gender or socio-economic boundaries and increases stroke risk by 500%4, accounting for 15-20% of all ischaemic strokes (strokes caused by blood clots)11. In addition, AF-related strokes are more severe than other strokes, with a 50% likelihood of death within one year2. The impact of AF-related stroke is predicted to rise dramatically as the number of individuals affected by AF is expected to increase 2.5 fold by 205012, due to an ageing population and improved survival of patients with conditions which predispose AF (e.g., heart attack). The theme of this year’s World Stroke Day is “Because I care”. By supporting the Global AF Patient Charter, over 500,000 people and 101 patient organisations, medical and other non-governmental organisations including the World Stroke Organisation, have demonstrated they care and that action is needed to prevent thousands of AF-related strokes each year. In a global call to action, 101 patient organisations, medical and other non-governmental organisations from around the world have endorsed the Charter, asking the public, healthcare professionals and policy makers to drive change in AF diagnosis and care, preventing AF-related strokes. The goal of Sign Against Stroke is to gather 1.7 million signatures in support of the Charter – one for each of the estimated number of grandparents, mothers, fathers, aunts and uncles killed or disabled by AF strokes every year – and provide those signatures to healthcare decision makers in countries across the world. Demonstrating strong support behind the Charter recommendations will help put AF and AF-related stroke prevention at the forefront of national health agendas. The Global AF Patient Charter was developed by a Steering Committee comprised of representatives from Patient Organisations, including AntiCoagulation Europe, Arrhythmia Alliance, Atrial Fibrillation Association, Irish Heart Foundation, StopAfib.org and Stroke Alliance for Europe, in collaboration with 39 founding Patient Organisations from 20 countries. A full list of collaborating organisations is available on the website, www.signagaisntstroke.com. People can learn about AF and stroke and read and sign the Charter, which is available in 22 languages on the Campaign website, www.signagaisntstroke.com. All signatures contribute to driving action to prevent AF-related strokes and improving future outcomes and quality of life of people diagnosed with AF. Bayer HealthCare has proudly supported the Global AF Patient Charter and Sign Against Stroke Campaign since its creation in 2011 and remains committed to working together with all key stakeholders involved to help improve AF patient outcomes. 1 The Atlas of Heart Disease and Stroke. World Health Organisation. http://www.who.int/cardiovascular_diseases/en/cvd_atlas_15_burden_stroke.pdf Last accessed 28 October 2013. 2 Lin HJ et al. Stroke severity in atrial fibrillation. The Framingham Study. Stroke 1996;27(10):1760-4. 3 Winter Y et al. Evaluation of costs and outcome in cardioembolic stroke or TIA. J Neurol 2009;256:954-63. 4 Fuster V et al. 2011 ACCF/AHA/HRS focused updates incorporated into the ACC/AHA/ESC 2006 guidelines for the management of patients with atrial fibrillation: a report of the American College of Cardiology Foundation/American Heart Association Task Force on practice guidelines. Circulation 2011;123(10):e269-367. 5 Camm AJ et al. 2012 focused update of the ESC Guidelines for the management of atrial fibrillation. Eur Heart J 2012;33:2719–47. 6 Patel MR et al. Rivaroxaban versus Warfarin in Nonvalvular Atrial Fibrillation. N Engl J Med 2011;365:883-91. 7 Connolly SJ et al. Dabigatran versus Warfarin in Patients with Atrial Fibrillation. N Engl J Med 2009;361:1139-51. 8 Granger CB et al. Apixaban versus Warfarin in Patients with Atrial Fibrillation. N Engl J Med 2011;365:981-92. 9 Miyasaka Y et al. Secular Trends in Incidence of Atrial Fibrillation in Olmsted County, Minnesota, 1980 to 2000, and Implications on the Projections for Future Prevalence. Circulation. 2006;114:119-25. 10 Lloyd-Jones DM et al. Lifetime risk for development of atrial fibrillation: the Framingham Heart Study. Circulation 2004;110:1042-6. 11 Marini C et al. Contribution of atrial fibrillation to incidence and outcome of ischemic stroke: results from a population-based study. Stroke. 2005;36:1115-19. 12 Go AS et al. Prevalence of diagnosed atrial fibrillation in adults: national implications for rhythm management and stroke prevention: the AnTicoagulation and Risk Factors in Atrial Fibrillation (ATRIA) Study. JAMA. 2001;285:2370-5.